Cervical cancer is the second most common cancer affecting women worldwide. It can be cured in almost all patients if detected and treated in time. Pap smear test has been broadly used for detection of cervical cancer. The conventional Pap smear test has several shortcomings including subjective nature, low sensitivity, and frequent retesting. In order to overcome this issue, colposcopy method is used for visual inspection of cervix with the aid of acetic acid and with proper magnification, abnormal cells to be identified. Thus, we propose a method for automatic cervical cancer detection using segmentation and classification. 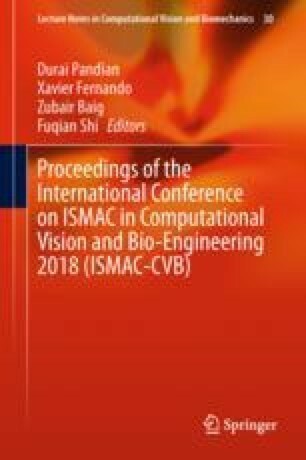 In this work, several methods used for detecting cervical cancer is discussed which uses different classification techniques like K-means clustering, texture classification and Support Vector Machine (SVM) to detect cervical cancer. The proposed work compares and determines accuracy for five types of kernel functions, namely Polynomial kernel, Quadratic kernel, RBF kernel, linear kernel, and Multi-Layer Perceptron kernel. Analysis shows that Multi-layer Perceptron kernel in SVM classifier provides the best performance with an accuracy of 98%.